This is the first book dedicated to birding in South Africa’s national parks. The 19 featured national parks are grouped within the four biogeographic regions – northern, arid, frontier and Cape regions. The book offers a concise introduction and summary of birding within each park. Pertinent and interesting facts about where to find birds, including the top 10 birds of each park and a description of general habitats, are presented in a readable fashion. Over one hundred photographs illustrate some of the special birds found in the parks. Of the 700 regularly seen terrestrial species in South Africa, at least 640 can be found in the 19 national parks, with 13 of the 15 species endemic to South Africa and another 19 of the 20 species endemic to South Africa, Lesotho and Swaziland. Bird species commonly found in each park are listed at the back of the book. 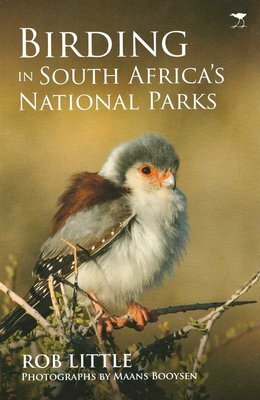 Birding In South Africa's National Parks will be a worthy addition to the bookshelves of bird enthusiasts, particularly birders and ecotourists visiting South Africa from across the world.